I love making soup. I always put at least one soup dish on the menu every week, and this one shows up regularly. The kids have pronounced it “the best soup in the world” (though it shares that distinction with Chicken Tortilla Soup and Zuppa Toscana). The ingredients are readily available, and the prep is quick and easy. And the shrimp can easily be replaced with shredded chicken, or left out altogether for a vegan version. Though the shrimp adds a nice flavor to the soup, my shrimp-averse daughter swears that it’s just as delicious without it. Red Pepper Flakes – There are red peppers available in bulk that work well in place of red pepper flakes. They’ll only cost you about 1¢ per pepper, so they’re very economical. 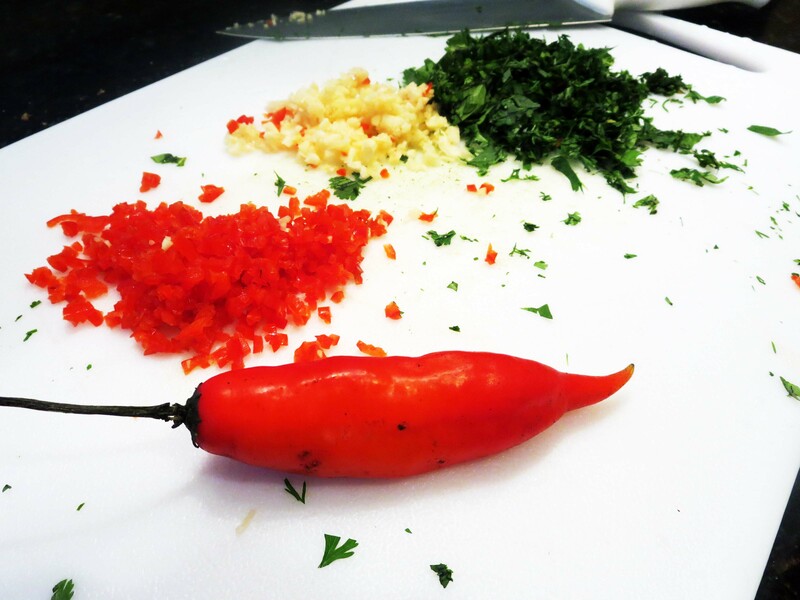 They vary in spiciness, so adjust the amount you use based on how hot the peppers are and how spicy you like your soup. I’ve found that even 2 tablespoons of a pretty hot pepper still makes a pretty mild soup. Canned, Crushed Tomatoes – Most canned food is more expensive here than in the U.S., and I typically avoid buying canned foods when I can make it from scratch. Canned tomates are one of the few exceptions, but instead of buying a 15 oz can, I buy a much more economical large can. 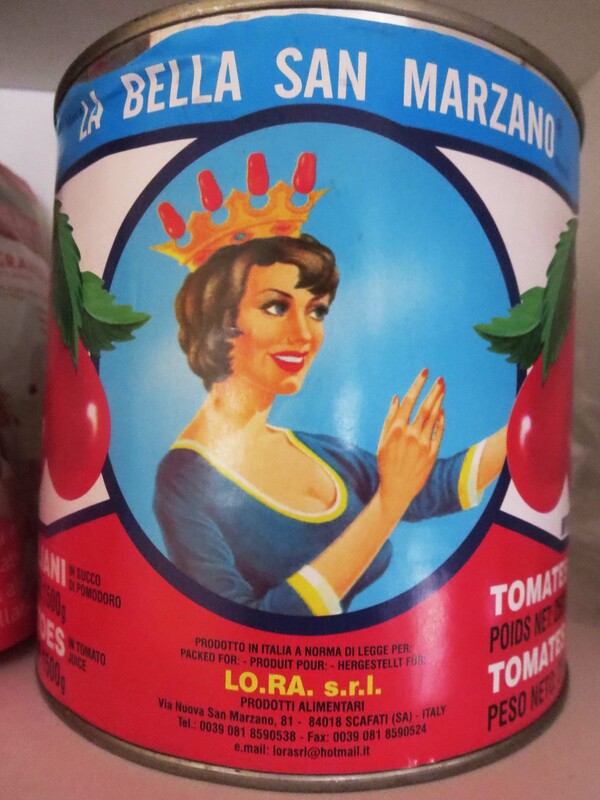 I haven’t found any canned crushed tomatoes, so I typically purchase whole tomatoes in tomato sauce (which my kids claim has my face on the label). I use it to replace canned, diced tomatoes, crushed tomatoes, and even tomato sauce. Just measure out the amount the recipe calls for (I just scoop it right into a 4 cup liquid measuring cup) and chop the tomatoes to the desired consistency. I store the remainder in a container (or gallon ziplock bag) in the refrigerator for later use. Lemon Juice – Lemons are a rarity here. You can easily replace the lemon juice with lime juice. 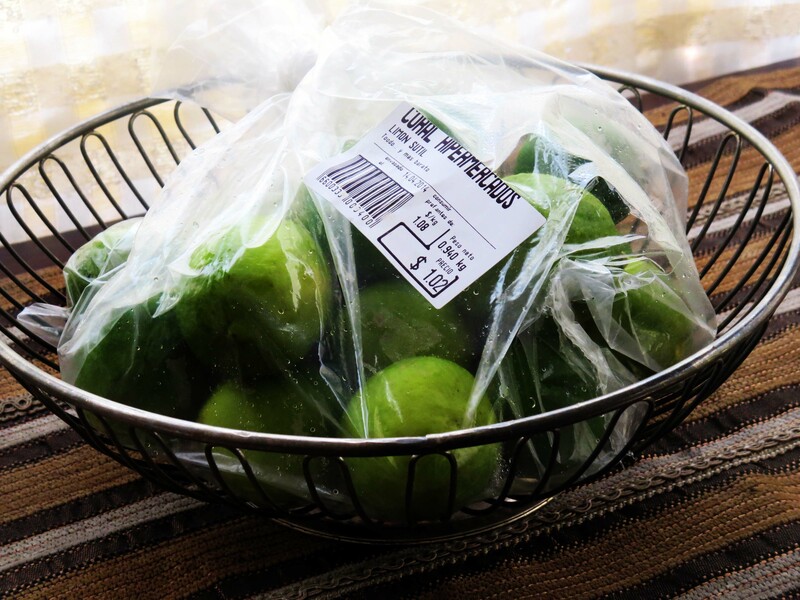 Limes are plentiful and cheap. We buy bags of them at a time, usually for about $1.00 a bag. Or you can spend a few dollars on a bottle of lemon juice, totally your call. In a large pot, heat the cooking oil over medium heat. Add chopped onion, garlic, and minced peppers and cook, stirring regularly, until softened (about 5-7 minutes). Add the water, rice, salt, and crushed tomatoes and give it a quick stir. Bring to a boil, then reduce heat to low and simmer for 10-15 minutes until rice is almost cooked through. Add the coconut milk and shrimp. 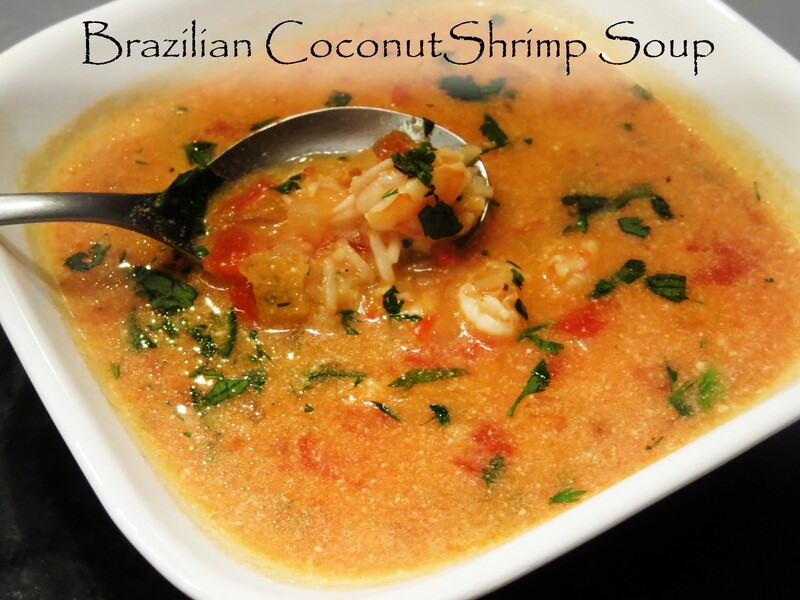 Bring the soup back to a simmer, cooking 3-5 minutes until shrimp is pink and cooked through. Add the ground pepper, lime juice, and cilantro. Taste and add additional salt if needed. *Note: This soup can easily be made vegan by leaving out the shrimp. The recipe in Food & Wine also notes that the shrimp can be replaced with 1 lb. of chopped chicken breast. I hope your family enjoys it as much as ours. Buen Provecho! I sure will 😀 thanks for sharing, great post.